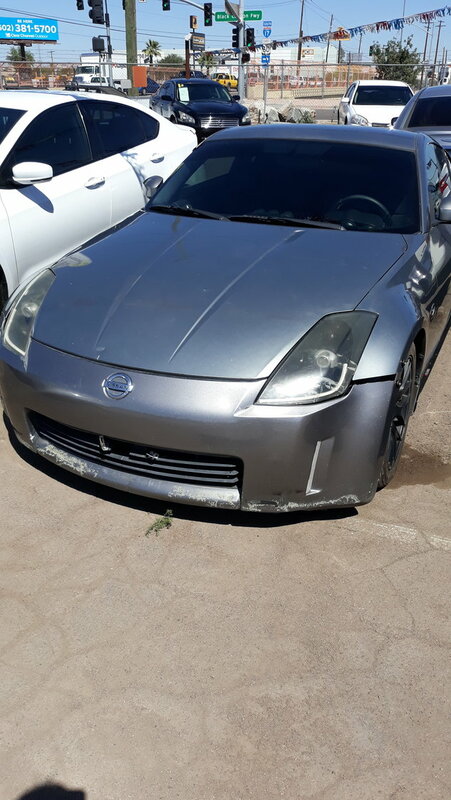 As the title says I am planning on buying an '03 350z in a few days. Before going to the dealer I was hoping I could get some advice from current 350z owners. What are some things I should check for that you feel are common problems or things that should be a red flag when seeing and test driving the cars. Two of the cars I am going to see are '03 touring trim. There is another I am potentially going to see that is an '05 Enthusiast trim. All 6 speed standard. Also what do you feel is a fair price for these cars? Thanks for your time, hopefully if I find the one I will be posting much more as this is supposed to be a fun project car for me. 1. Before starting the engine, smell the oil on the dip stick, it should smell oil, not gasoline. 2. The trans fluid should light brown, not dark brown. 3. Listen to the engine while idling, there should be no knocking sound, pinging. 4. While the engine is running, go and look at the tailpipe, there should not be a blue smoke, blue smoke means burning oil. 5 Let the engine idle for about ten to twenty minutes and wait for the radiator fans to turn. Observe the coolant temp, it should not go over more than half scale. 6. Take a test drive and feel how the car response to your gas pedal as it accelerates. It it has some delays and it lacks some torque, something wrong with the transmission or the engine itself. 7. While navigating some bumps and pot holes, listen to clunking sound from the suspension. 8. Check all the lights, head light, left and right markers, park lights, stop light. 9. Check the tire for un-even wear. 10. Take a peek on the under chassis for rust. These are just some basic things to consider before making a decision. I hope these helps. Good points and I'll take it one step further. If you get serious about either of these cars, take it to a experienced technician for a full assessment. Be prepared to pay $200-300 for a written mechanical assessment that takes at least a few hours to conduct. There's no way any of us can give you valid advice on a car none of us can really put our hands on. Thank you for this, I'll definitely go over this before the test drive. I was definitely planning on doing something along this line if I decide to take the car. In Arizona where I live I have 15 days to take our back after purchase if I need to by law. Hi Brian. I favor dkmura's advice. I've always done what he is suggesting when buying a used car, and the technician has always discovered something that needed attention. Well its official folks, I'm now the stoked owner of a 2005 Nissan 350z Enthusiast. It need a little work (there is a little front end damage from a minor accident but no reported frame damage, hopefully it stays that way) but that's what I was looking for anyway. I pick it up tomorrow and then it's off to the shop for a checkup. Wish me luck everyone. Well its official folks, I'm now the stoked owner of a 2005 Nissan 350z Enthusiast. ... then it's off to the shop for a checkup. Yeah... You did that backwards. I have 30 days to bring it back if I find anything I dont like. So I dont neccesarily agree. We will see if you're right though I suppose. You have a lemon law that covers used cars for 15 days or 500 miles, but only if a "major component" fails. This basically means blown motor, trans or differential only. If it has a lot of small issues, you can't just decide you don't like it and bring it back. Just sayin'... You always get the car checked out before you buy. If the seller won't let you, you don't wanna buy anything from them anyways. Oh, and never buy a car from a "buy here/pay here" place. They buy cars we got traded in and didn't want to sell ourselves, so we auctioned them. Last edited by i8acobra; 04-08-2019 at 09:14 PM. GA return laws run 72 hrs. I'm in Az and buyer beware is the law of the land. Hopefully this works out for you. Did you at least run a CarFax report on it? You didn't mention the number of miles on it. I don't like what appears to be a non-uniform line where the hood closes, it could be minor or indicative of a serious front-end collision at one time. The front seam of the left fender screams red-flag. Not sure why the OP asked for advice and went ahead and bought this thing in the first place. Maybe it will work out, but I'd get my money back ASAP if I could. Cars with front end collisions typically become problem cars forever. Last edited by jimbucks; 04-10-2019 at 02:58 PM. Front bumper is misaligned and has significant surface damage. This car has been in an accident, but we do not know the seriousness or extent. There won't be a Carfax report if the accident went unreported and there was no insurance claim. After further consideration, I think I agree. How much do they want for that wreck? Done, don't know if OP was legit or troll, doesn't matter. We all started somewhere. If this forum's current members can't contribute something positive to new members, we get what we deserve- a vacuum with no new members, no new stories to read, and wondering why this site is dead. @ OP- pm me if you want this thread reopened. Possibly buying a Roadster tomorrow, need input! 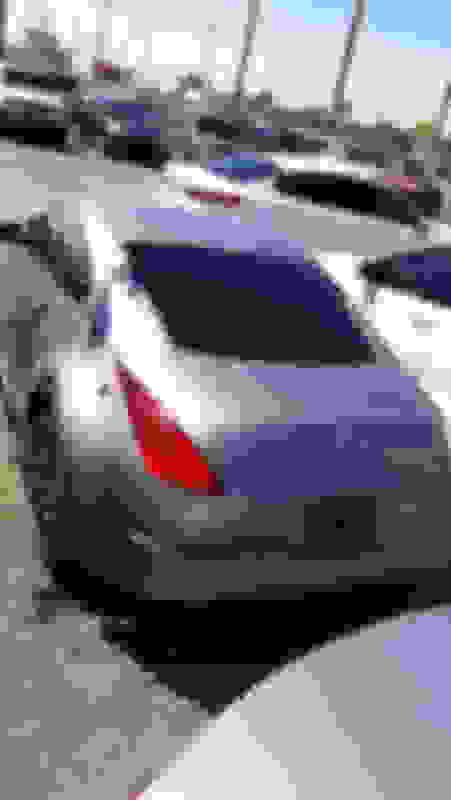 Buying a Z tommorrow...Need advice about the dealer's prices TONIGHT! Quick Reply: Possibly buying an 03/05 350z on Monday, need advice before going to the dealer.